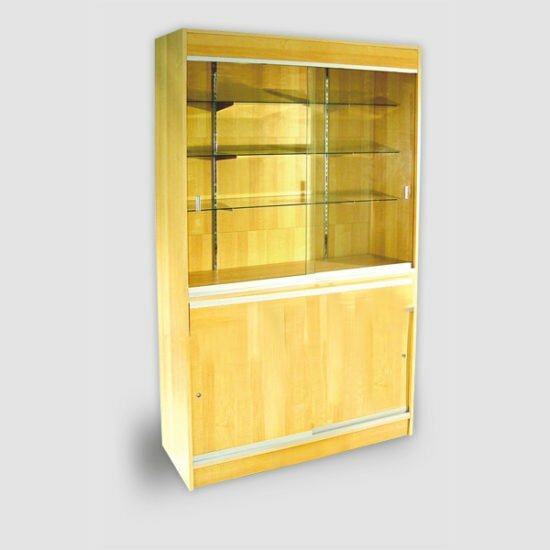 Half Vision Wall Cases are made for people who need storage space as well as display. The lower half gives you plenty of room to store away extra merchandise or other items not necessary for the customer to see. While the top half gives you shelving area to display your merchandise. The half vision wall case comes in multiple colors and sizes!